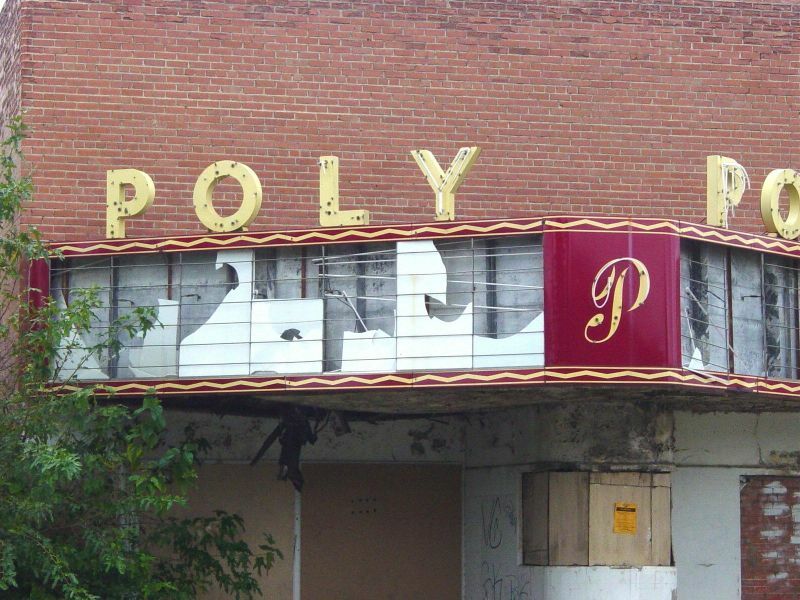 A shot of the remains of the Poly Theater marquee. Located at 3001 Vaughn Blvd. 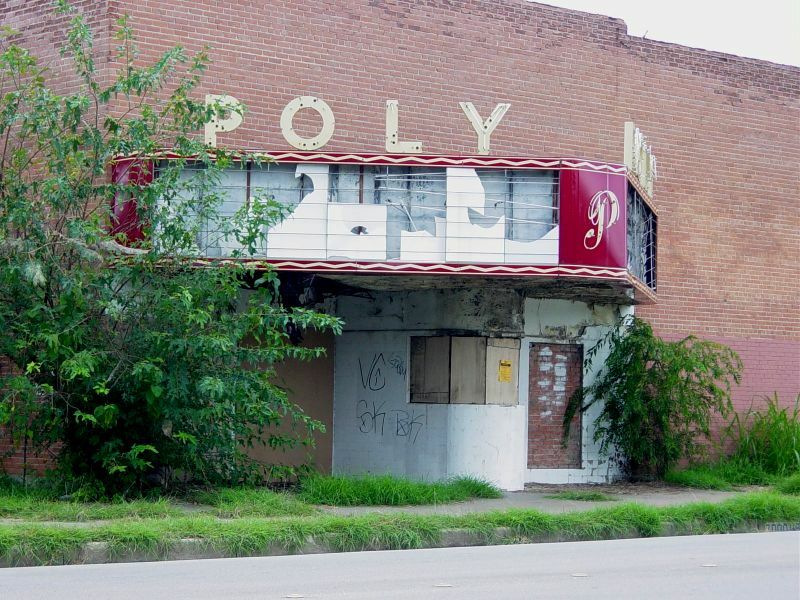 Taken July 27, 2007 by George Harvey. Wish I had a shot of this back in its glory days. 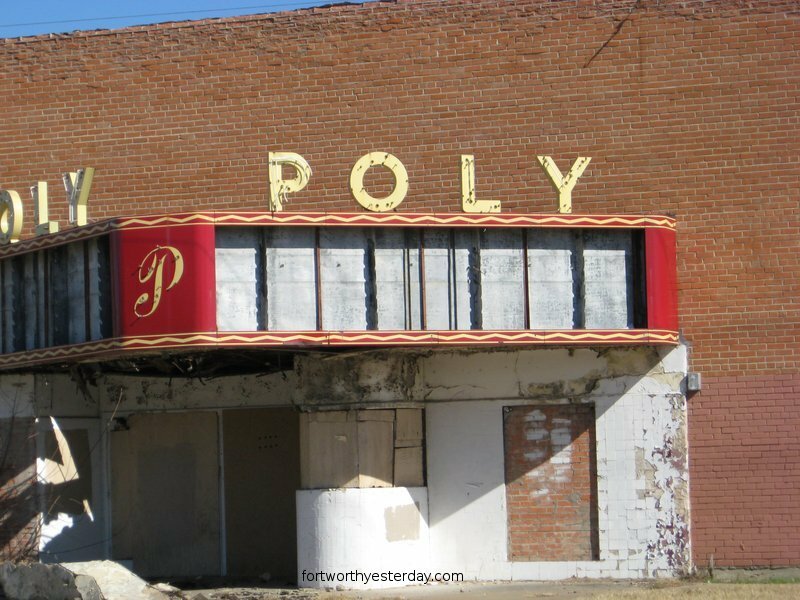 Another shot of the Poly Theater by George Harvey. 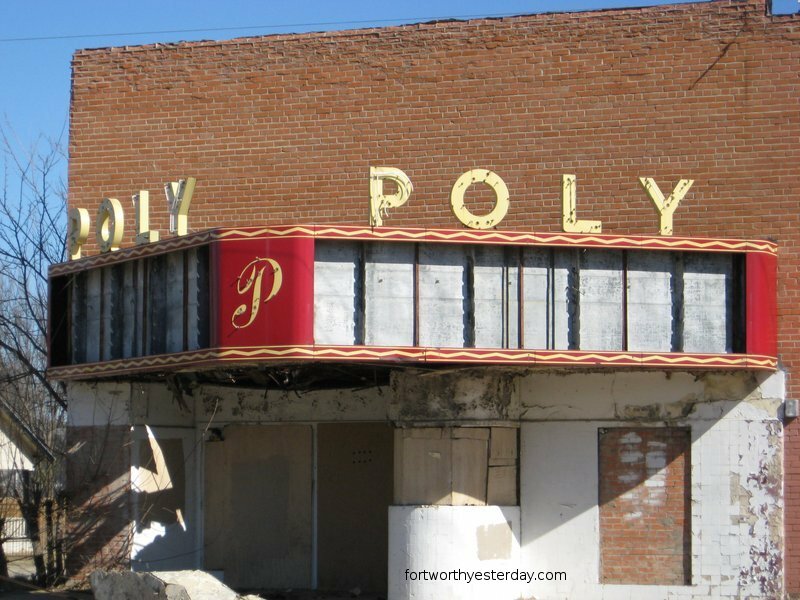 Two more shots of the Poly, taken Jan. 31, 2009 by George Kelly.